Browsing ant, Lepisiota frauenfeldi is an ant-eating species that forms super-colonies that can displace native ant species and most other invertebrates in the area of infestation. The first known Australian detection was at Perth Airport in 2013 followed by detection at a commercial property in Belmont in August 2014. 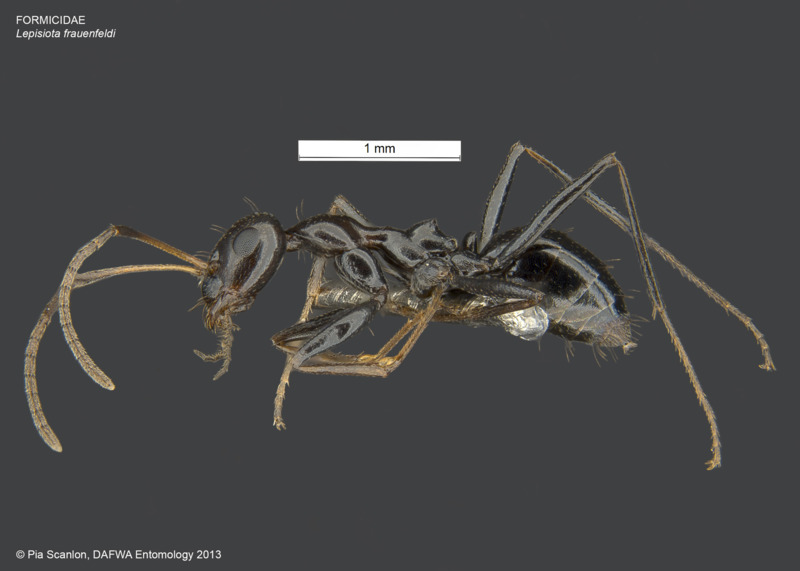 On 6 August 2015 a browsing ant detection at Darwin seaport was confirmed. The Australian Department of Agriculture is working with the Department of Agriculture and Food, Western Australia (DAFWA) and the Northern Territory Department of Primary Industry and Fisheries to respond to the WA and NT detections. Browsing ant is a tramp ant native to southern Europe, usually found in desert or Mediterranean regions in the vicinity of the sea. There is limited scientific literature available for the Lepisiota genus worldwide. Browsing ants are a slender ant, and shiny uniform dark brown in colour. They are 3–4mm in length with long antennae and long legs, and run about in a crazy or haphazard manner when disturbed. Following the Perth detection in April 2013, DAFWA undertook both field and laboratory research into the ant's biology and behaviour. This included foraging activity, reproductive phenology, colony resource flow, climatic modelling and environmental impacts. This research enabled DAFWA to assess various treatment options. They are reported as being an arthropod scavenger and myrmecophage (ant eating) species, which can form multi-queened, super-colonies. 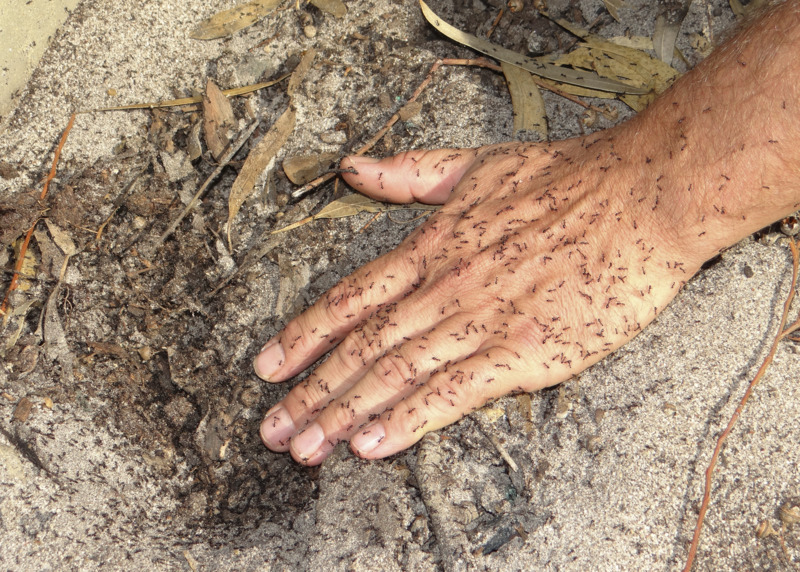 Browsing ants are ideally suited to Australian conditions. In high populations this pest can displace native ant species and most other invertebrates. They can also cause damage to plants and landscaping. Browsing ant is a homopteran-tending species which ‘farm’ pests such as aphids, mealy bugs and scale insects, and so would become significant horticultural and garden pests. Members of the public who suspect the presence of browsing ant should contact the Department of Agriculture and Food, Western Australia's Pest and Disease Information Service on 1800 084 881.